Today’s businesses have become increasingly reliant on new technology such as cloud and virtualization to run and manage their businesses efficiently. There are a number of companies providing such services, and one that stands tall among the competitors is CDW. Being a leading provider of IT products and services since 1984, CDW offers secure, cost effective data storage management solutions for small businesses and enterprises. And that’s not all. 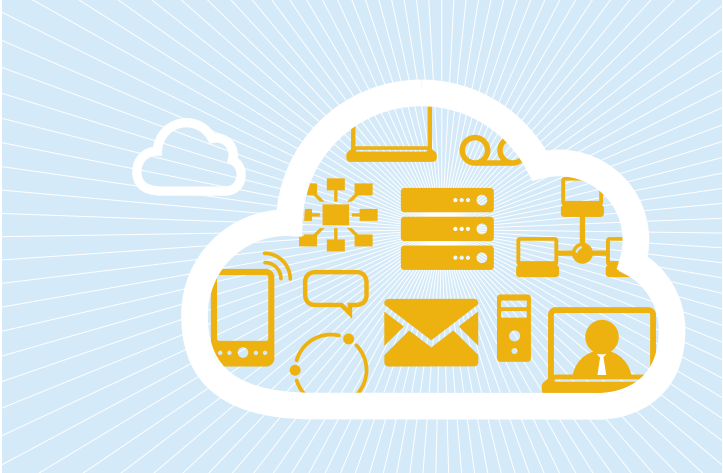 CDW is now taking cloud to a new level of efficiency. It’s called Cloud Collaboration and lets you use the cloud to connect with your business associates and colleagues from anywhere in the world using collaborative tools. Let’s take a look at what CDW Cloud Collaboration offers and why your business should consider using it. Businesses today are no longer confined to one city, state, or country. With global expansion comes various communicative difficulties, time lags, and delays. In a fast moving competitive environment, companies can ill afford such incompetencies. Regardless of geographical boundaries, decisions need to be made in real time, technological platforms need to be seamlessly integrated, and mobile technology need to be integrated with workforce that works remotely. This is where unified communications (UC) comes into play, and CDW, with its vast experience in the field helps businesses face these challenges effectively and efficiently. CDW has years of UC service experience, with over 4000 Cisco Unified Communication deployments under its belt. CDW has now entered into a strategic partnership with Cisco Systems to offer its cloud collaboration solutions so that your business can harness the power of the cloud. There are four cloud collaboration packages to choose from depending on organizational requirements. For instance, the Essential package is ideal for businesses that need one IP Phone, desktop client, mobile client, analog device, lobby or conference room device for a single user. The Standard and Premium packages offer additional benefits including voicemail messaging and IM, among others. Cost Efficiency: The initial upfront cost outlay is eliminated with the pay-as-you-go model, enabling easier budget planning. Quick activation of services: CDW offers quick deployment of cloud solutions so that business can reap the benefits of savings in time. State-of-the-art-data-center: With CDW you can expect a secure, state of the art data center with 24×7 security at its Tier III-IV facility. Managing Services: CDW’s certified expert staff will help you with software upgrades, administration, and troubleshooting. Scalability: CDW offers flexibility in meeting changing demands in capacity and costs. World-class technology: Businesses get access to world-class Cisco collaboration tools and solutions. You can check out the CDW’s Solutions blog for more information on their services. Or, if you find all this jargon is a little intimidating, here’s a Cloud Collaboration Video that explains it all! With world class technology, CISCO certified support, and a host of other benefits that include cost efficiency, service flexibility, and custom solutions for your organizational needs, CDW Cloud collaboration may be just what you need to help transition your business to the cloud and take your business to the next level in 2013.